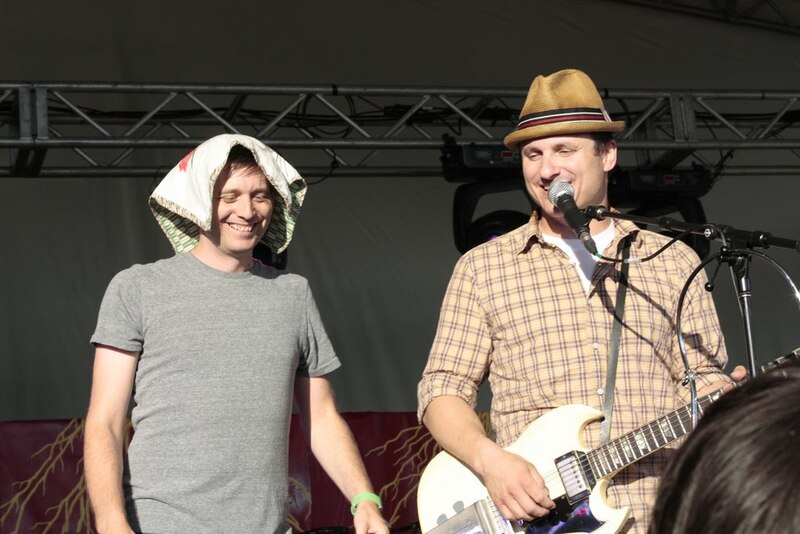 Island SoapBox: A Farm Boy’s First Folk Fest Experience. A Special Guest post for Island SoapBox by Cody Lobreau. Growing up on the farm we only had access to radio stations that played the top 40, rock and classic rock/oldies and country music. Since I found top 40 music to be the music equivalent of Bud Light Lime (total crap), I became a rock fan at an early age. 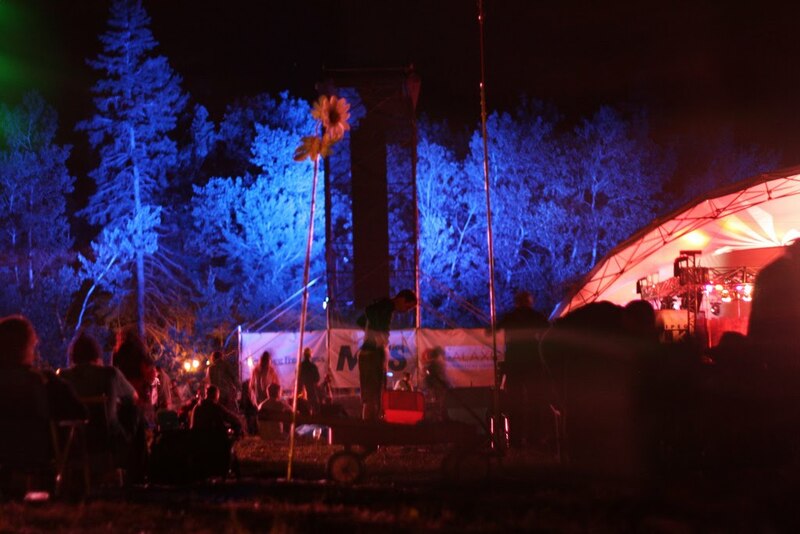 Over the years, several of my friends told me about the Winnipeg Folk Festival, stating that it’s the best musical experience they ever go to, kind of like their equivalent of a religious experience. They would go each and every year. If the weather was horrible, they would still go and just tough it out, even if it means their tent was soaked through with rain water, it was part of the Folk Fest experience. 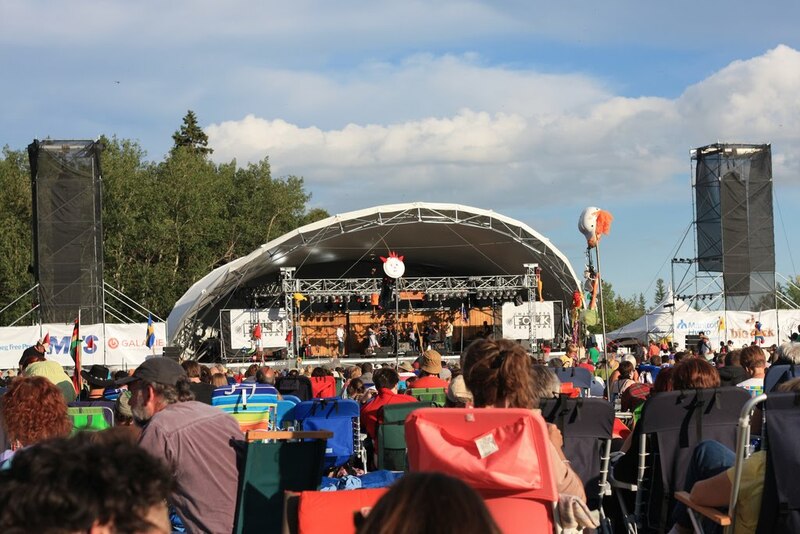 Last summer, after hearing about all the great musical acts my friend Pat saw at the Winnipeg Folk Festival, I decided it was finally time to visit my first one. Waiting for the 2010 edition was the hardest part, waiting a whole year for the Folk Fest to begin was hard, mainly because I was unemployed (and still am), and it was supposed to be the highlight of the summer. 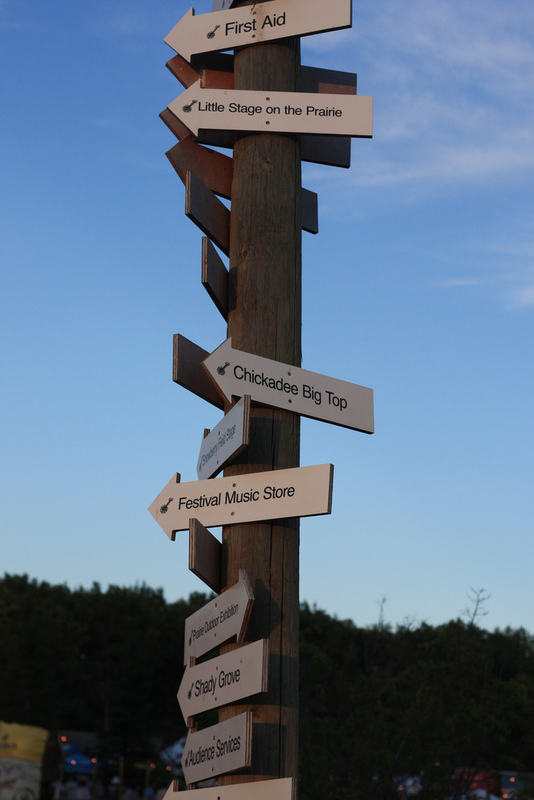 Well on July 7th it was time to head to Bird’s Hill Provincial Park and finally experience my first Folk Festival. This marked the first time I drove solo to Winnipeg in several years, and on the way to Birds Hill Park I managed to get lost twice, almost got in an accident once, and ignored five phone calls from family (as they were worried that I got into an accident because I was ignoring their calls). 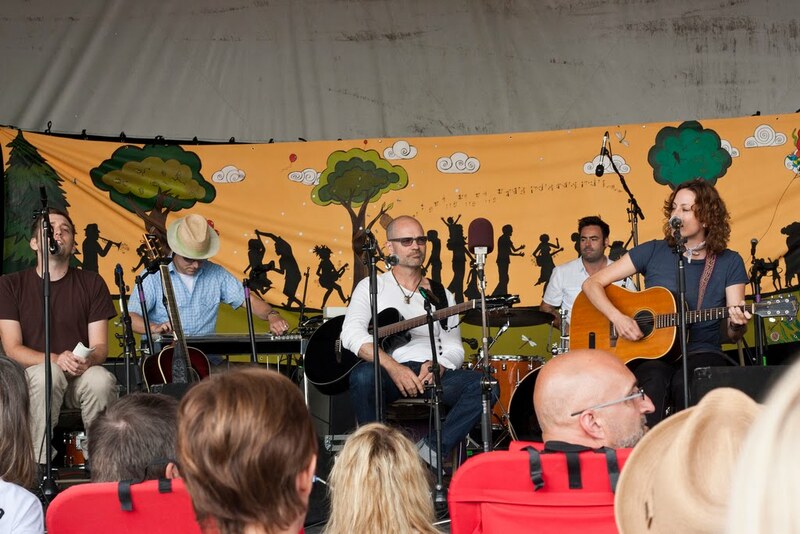 The experience at the Winnipeg Folk Festival was like nothing I have ever seen before. I had the pleasure of going to festival d’été in Quebec City a few years ago, see dozens of acts, and be surrounded by hundreds of thousands of people, but Folk Fest was much more insane of a festival. For four days I was cut off from reality, surrounded by thousands of people ranging from hipsters, hippies, to retired business men, all there to soak up the sun and see live music. I felt somewhat out of place as I was a farm boy and not used to seeing this sort of mix of people, but very quickly I realized that everyone is welcome here, even if you aren’t a folk music fan. Over the four days of “folking on”, I managed to see John K. Samson 4 times (either performing on several stages, or just simply appearing on stage being a jokester). Frankly, I think four times to see John K. Samson perform (or any act really) in a long weekend is a bit too much, but either way it was a memory I will never forget. During a Manitoban music workshop with himself, Del Barber, The Duhks and several other artists, Samson was being his usual hilarious self when he borrowed Greg MacPherson’s electric guitar to perform his song “The Heart of the Continent”, throughout the song he would randomly stop and start over, this was because he was not used to seeing “the dots” on a guitar. I used Winnipeg Folk Fest as an excuse to see musicians I saw in Quebec City at Festival d’été (United Steelworkers of Montreal, Weakerthans and Rock Plaza Central), but of course I needed to discover new music. One such act was Rural Alberta Advantage. I knew OF RAA’s music but didn’t know that was their music. So I was delightfully pleased with their performance and bought their CD. Another act was Quebec’s Mauvais Sort from Quebec City. I’ve seen several Franco-folk acts in my day at sugar shacks, at various events and whatnot, and usually I would be bored by the act (as most of them are all too similar in style of music), but not Mauvais Sort. Their music was upbeat, very fun to dance to, and just overall much better than the usual Cabane à sucre music I’m used to in Manitoba. As this was my first time visiting a Folk Festival, I wanted to be a bit clever (or I guess cheesy) and have a few t-shirts made up specifically for the event. Thankfully the shirts arrived just in time for Folk Fest or else I would’ve had to stick with wearing my trusty Winnipeg Jets t-shirt (very unoriginal – I saw five other people with the exact same shirt). One shirt was a simple green shirt that said “Vive la poutine!” (translates to long live poutine!) This was a crowd hit! I had a few dozen people walk up to me commenting on the shirt, I’ve even had a few francophones start up conversations all because of the shirt. However, my Burton Cummings’ themed t-shirt (with his face) that has the words “Clap for the Stacheman” got absolutely no attention, I guess either it’s unoriginal or nobody there knew who Burton Cummings was (very doubtful). Looking back a month later, I have to say that out of the hundreds of concerts that this farm boy has gone to over the past decade (starting with The Guess Who in Brandon, Manitoba in 2000) to now, Winnipeg Folk Festival ranks as one of the top two events alongside Festival d’été in Quebec City. Those experiences make me look back and reminisce about the great times I had, the great friends I hung out with, and how I was cut off from society for an entire “long” weekend! I have already thought about going again next year, possibly as a volunteer, but it depends if Festival d’été is during the same week again. I say that if you have the chance to check out your local folk festivals, check them out! Buy some souvenirs, make some new friends and you will be looking back on the experience, the concerts, and the fun times for several years to come! It’s also crazy to discover what you can find at Winnipeg Folk Festival, such as discovering that other members of your own family once frequented the festival 25+ years earlier and had the same great experience! Thanks very much to Cody for sharing his experience with Island SoapBox. I hope you all enjoy the read as much as I did! I really love this article. I myself have not been to a folk festival yet, and I truly can't wait. This article has made me even more excited about the concept. Great work Cody!